College group promotes “unhooked” events to encourage dating without hooking up. As you might expect, it’s been met with some resistance. 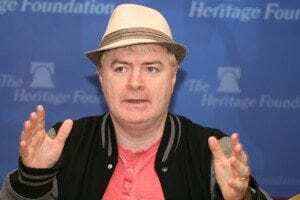 Phelim McAleer is a journalist and documentary film director and producer. He is currently producing the documentary about Dr. Kermit (Butcher) Gosnell who likely killed THOUSANDS of babies and many moms. Help get his movie to the masses with a $1 donation to GosnellMovie.com. Babies were born alive and he stabbed them to death. This is a story that needs to be told. There some things that he did were so crazy, it had to be toned down to be believable! He also was a trophy collecting serial killer. Baby parts were the thing he was most proud of. Sickening! Middle school students were given a lesson to write about their “conversion” to Islam.